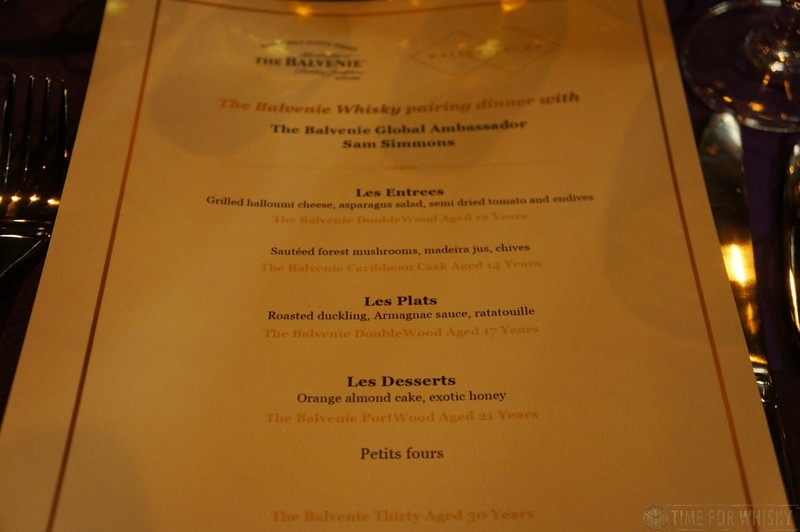 Back in 2013 we were lucky enough to attend a dinner with The Balvenie's Global Brand Ambassador Sam Simmons - aka "Dr Whisky". 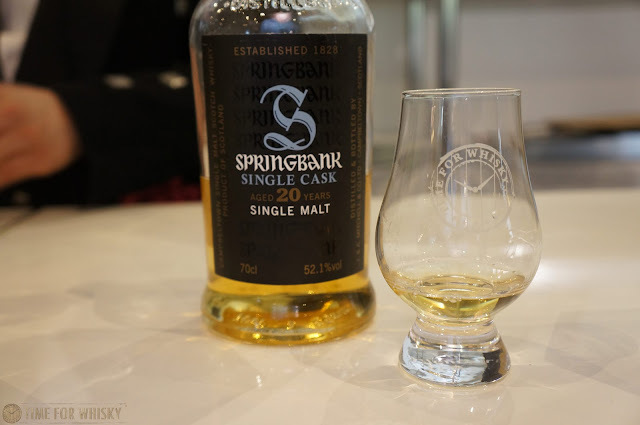 The food was great, the whisky was fantastic (especially this one) but more than the food or whisky, Sam made the night a blast by being a genuine, funny, down to earth bloke (who just happens to have an encyclopaedic knowledge of whisky). 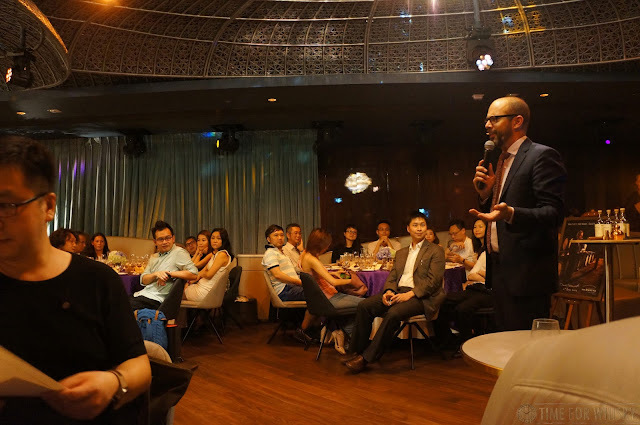 It was therefore not even something I had to think about when, two and a half years later, I was asked if I'd like to attend another dinner with Sam, this time in Hong Kong at new bar/restaurant Maison Eight. The answer was instantly a "yes!". 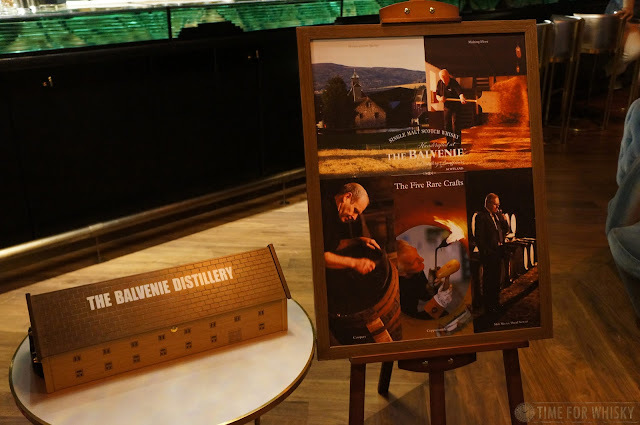 Sam was in town to launch the DCS Compendium, a selection of 25 bottles from The Balvenie to be released (in sets of 5) over the next 5 years, celebrating The Balvenie's five rare crafts and the incredible 54 year tenure of David Stewart, The Balvenie's Malt Master (who himself was in Hong Kong a year ago). Whilst the entire Compendium Chapter 1 (at a retail price of £28,000) is not available in HK, one of the bottles has been made available - the 37 year old 1978 bottle, limited to a total of 140 bottles (90 to be sold individually). We (unfortunately but understandably) were not able to taste the 1978, but we did enjoy a fantastic 5 course dinner, with courses paired with The Balvenie 12yo DoubleWood, 14yo Caribbean Cask, 17yo DoubleWood, 21yo PortWood and 30 year old, all of which we examined in-depth here. Sam opened proceedings by explaining the night would be open and informal, and after telling us that "Handcrafted is a lovely BS word", which Sam mentioned he'd also seen used at Pizza Express at HK Airport, we knew we were in for a night without the marketing guff that sometimes accompanies these events. Sam introduced each course/whisky pairing, always keeping it light and informal, taking input from the audience, and generally just ensuring everyone had a good time. 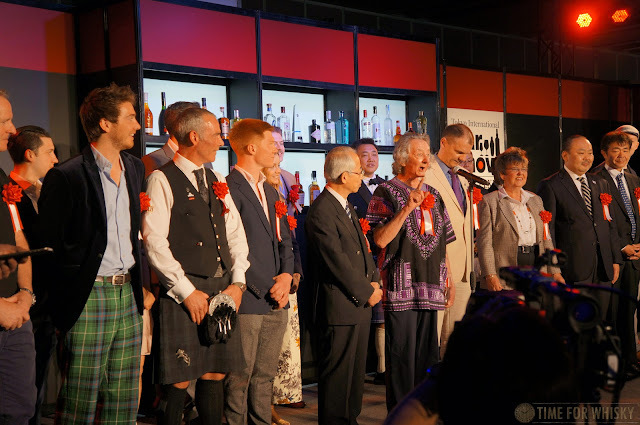 When it comes to entertaining an audience (often with a wide range of whisky knowledge), you'd be hard-pressed to find a brand ambassador who does a better job than Sam. 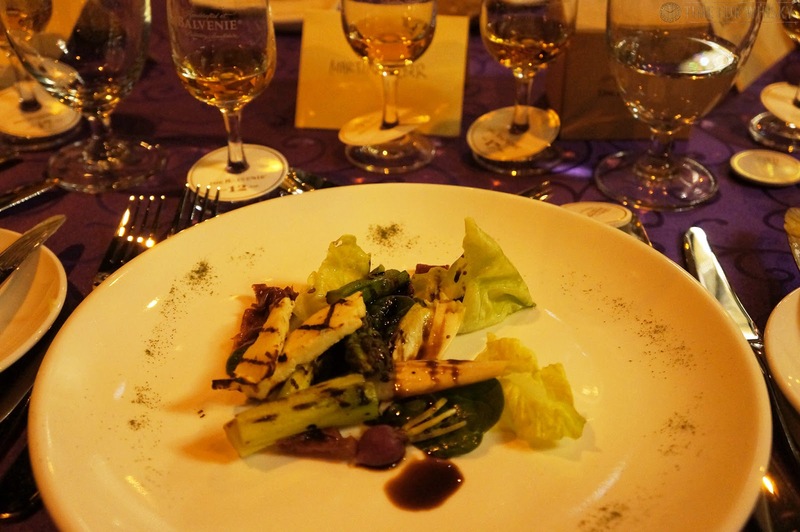 The first course, grilled Haloumi, asparagus, semi-dried tomatoes and endives was simple yet the perfect entrée. The smokiness from the grilled Haloumi matched very well with the honied notes of The Balvenie DoubleWood 12yo, with the balsamic dressing also pairing nicely. 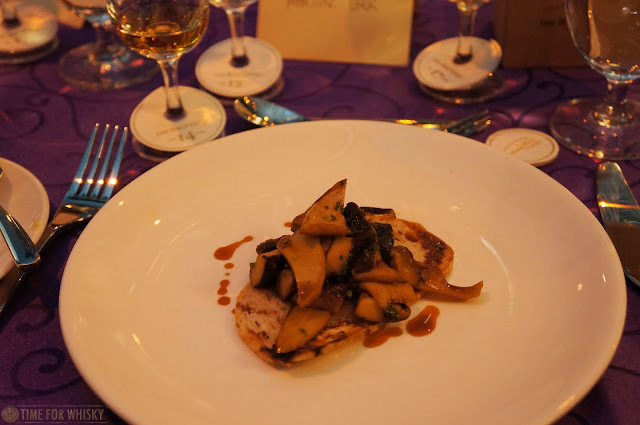 Next was sautéed forest mushrooms, madeira jus and chives, paired with The Balvenie Caribbean Cask 14yo. 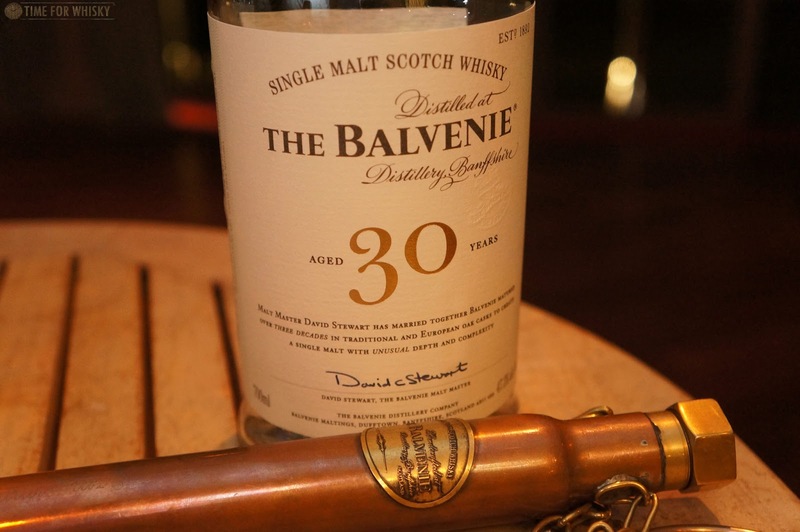 The sweetness of the rum-finished Balvenie was toned way down with this pairing, with the mushrooms taking the fore and giving the whisky a more earthier, robust characteristic. Interestingly I even got a hint of bananas from the pairing! 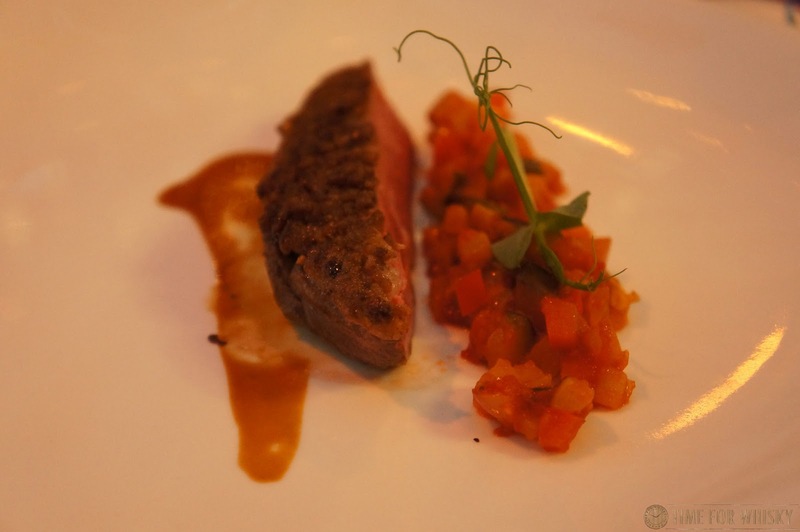 Onto the mains and it was Roasted duckling, Armagnac sauce with ratatouille, paired with The Balvenie DoubleWood 17yo. An interesting dish this one, with many commenting they hadn't seen duck done this way before - very different to the usual slices of duck breast you see at restaurants like this. The duck itself was delicious, though quite gamey. The 17yo DoubleWood toned down the gaminess, while the duck added a mouth-filling viscosity that wasn't there with the whisky on its own. An interesting and unexpected pairing. 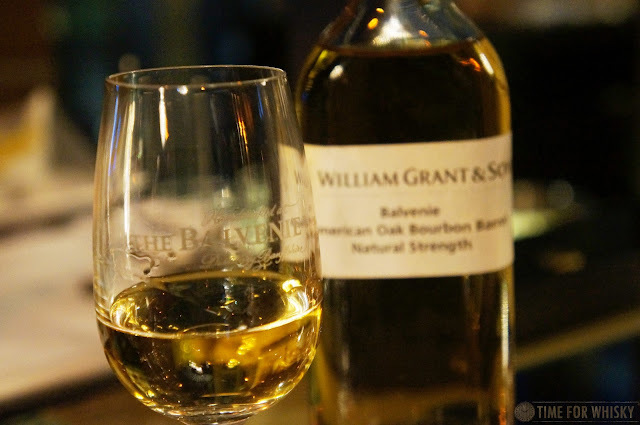 Next it was time for dessert (Orange almond cake with "exotic" honey) and what better whisky to pair with a dessert than The Balvenie PortWood 21yo? 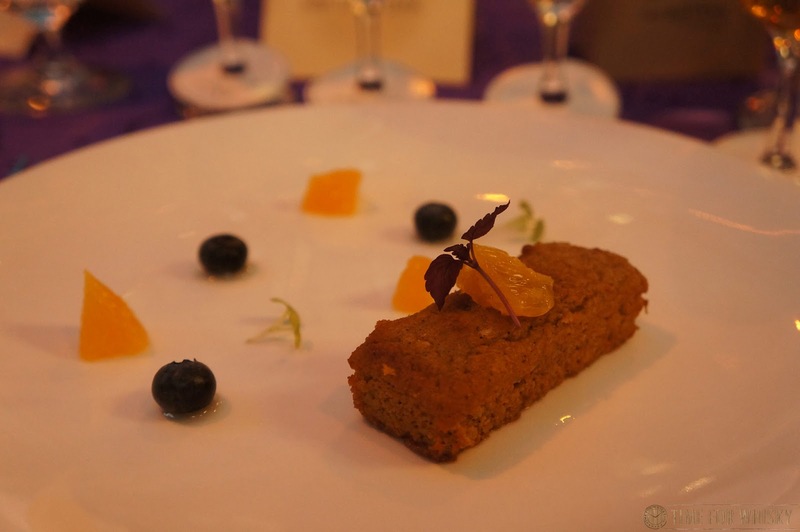 Many said this was their pairing of the night, with the sweetness of the orange cake complimenting the equally (though differently) sweet notes of the PortWood. During this course, Sam made the interesting comment that Balvenie don't have a "core" product between 21 and 30yo, so it's a pretty safe bet that most of the PortWood 21yo out there is carrying some much older whisky inside - in some cases even up to 29 years old. Of course we know distilleries do this, but a lot of distilleries have an intermediary core offering between 21 and 30 years old - The Balvenie doesn't (the 25yo single cask and triple cask releases not withstanding). 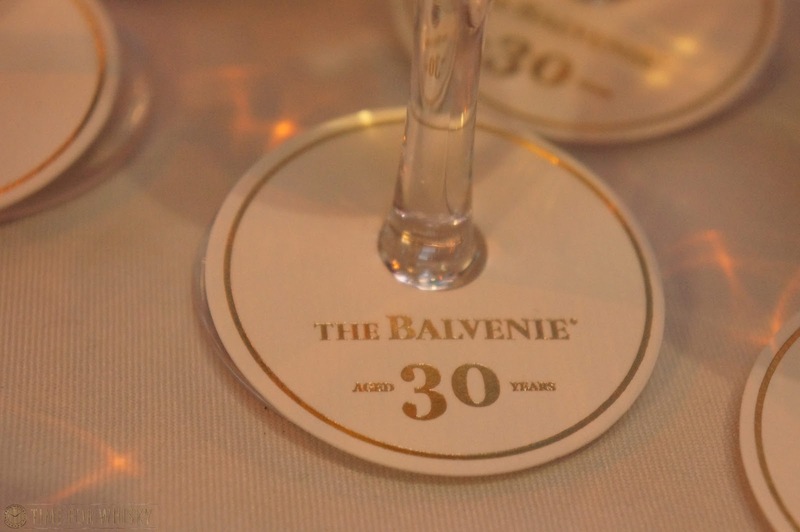 Last, but certainly not least came the petit fours - chocolate cake and nougat matched with the always-delightful The Balvenie 30 year old. This proved another excellent match, though for me the winners were the first and fourth course pairings. With the meal finished, Sam stuck around to share a few more drams with attendees (including a bottle of Wolfburn someone had snuck in) - again proving his genuine love of whisky. All up a hugely enjoyable night - as I knew it would be! 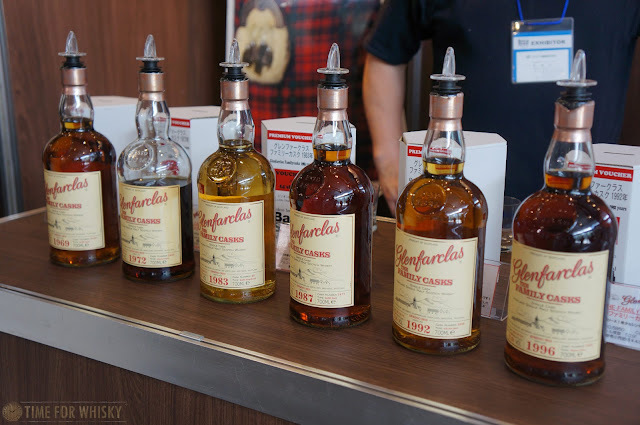 TimeforWhisky.com would like to thank Sam and Telford International Co Ltd for the invite to this fantastic dinner. 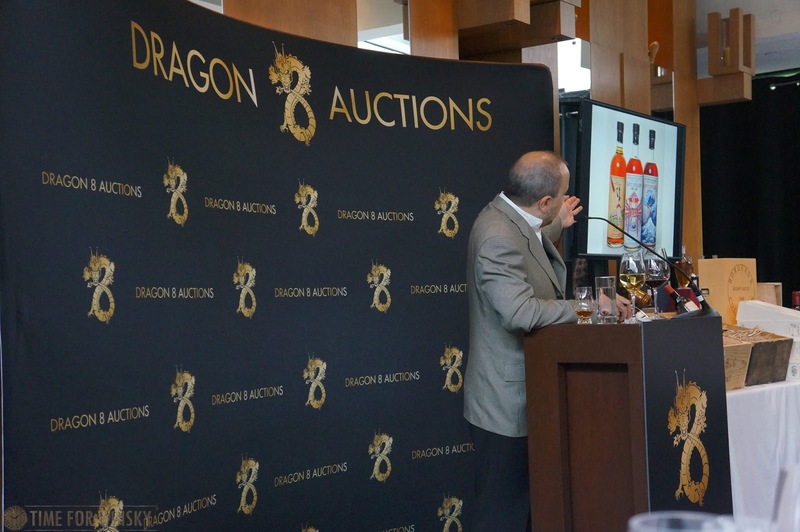 Dragon 8 Auctions held their second ("Gamma") auction for 2016 last weekend, following their February whisky auction which we covered here. Held again at Grand Hyatt's Pool House, the auction this time included both fine and rare wine and whisky, with each making up around half of the lots. 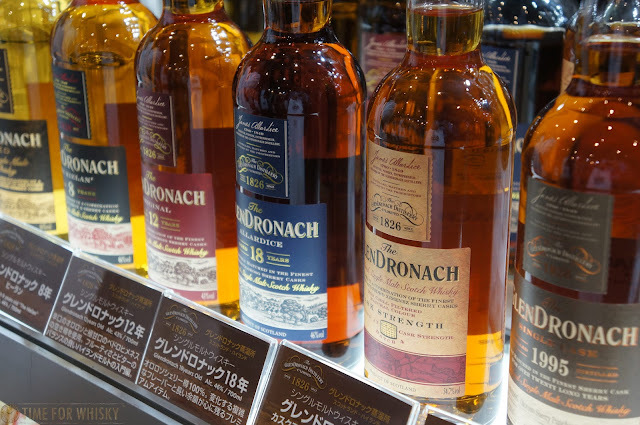 There are several whisky auctions in Hong Kong and we can't get around to all of them, but Dragon 8's are ones we're always happy to cover. Sure the catering is fantastic (this time around there were Magnums of Champagne, a beautiful old Rioja and a selection of whiskies including The Macallan Rare Cask Black and Highland Park Sigurd, last time there was this 1938 Macallan), but it's more than the catering - Dragon 8's auctions are actually very enjoyable to watch, whether you're buying, selling, or considering either. Again led by jovial founder Gil Lempert-Schwarz, the auction kicked off with the wine lots (which included some incredible wines, most of which we missed sadly) before moving onto the whisky - with Gil encouraging us to go and grab ourselves a dram and pair it with whatever we wanted from the buffet - "sushi, tomato, dessert, whatever!" There are no "ordinary" lots at Dragon 8 Auctions, and this one was no exception, with several whiskies over 50 years old, two over 60 years old, several pages of vintage Macallan 18s and a whole section dedicated to The Macallan "Fine & Rare" series. 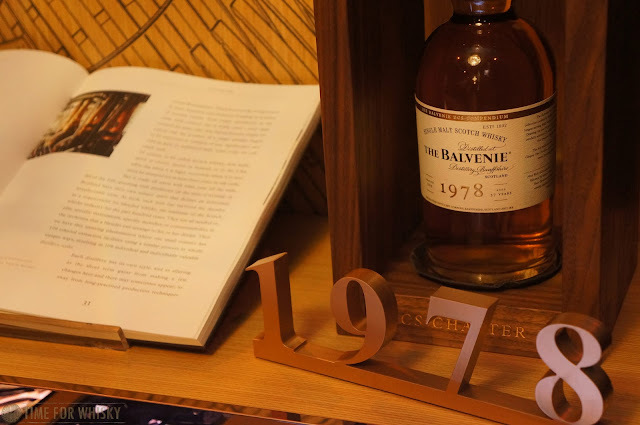 Not to mention Silver Seal indies, a Bowmore Bicentenary 1964, a smattering of Hanyus and Karuizawas and the incredible new Macallan 65yo in Lalique, which we tasted recently. To save you the suspense on that Macallan 65yo, despite only being released last month and retailing at $280,000HKD / $35,000USD, it sold for a whopping $480,000HKD (almost $62k USD)! One to watch, clearly. Bidding in general was strong, with all but a few lots selling. Interestingly the Silver Seal indies didn't seem too popular, with a few being passed in, but other indies seemed to fair well, with a 62yo Glenlivet (1952 G&M "Private Collection") selling for $65,000HKD, and a 55yo Macallan (1950 G&M "Speymalt") selling for $26,000HKD (both prices pre-buyer's premium). 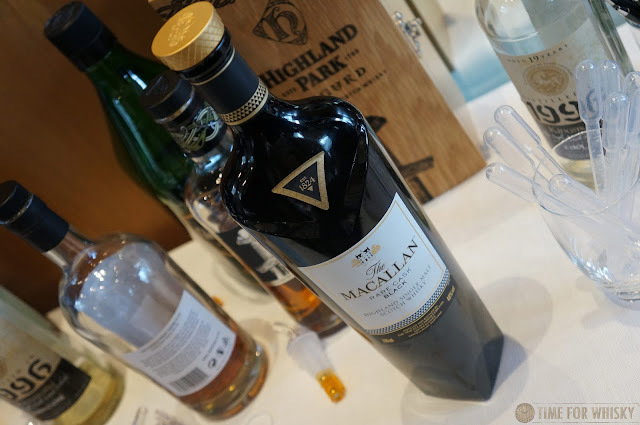 There was clearly a trend for the older (by vintage) whiskies to be more popular, with strong bidding on the older Macallan 18s and Karuizawas (often between two bidders), but not as strong bidding on the younger vintages, with a few of the late-1980s and early 1990s Macallan 18s being passed-in. Still, every Hanyu and Karuizawa sold, either at or (in some cases) well above their estimate, indicating that whilst we might not be seeing the crazy prices of mid 2015, these are still highly sought-after whiskies. 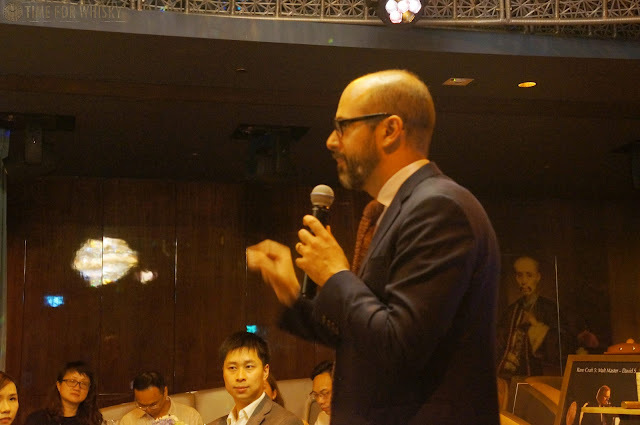 The auction also served as a prelude to an upcoming collaboration between Dragon 8 Auctions and famous Hong Kong actor Michael Wong - in the forum of a 35yo single cask The Glenlivet. We'll keep you posted about this one (hopefully along with some tasting notes) shortly. 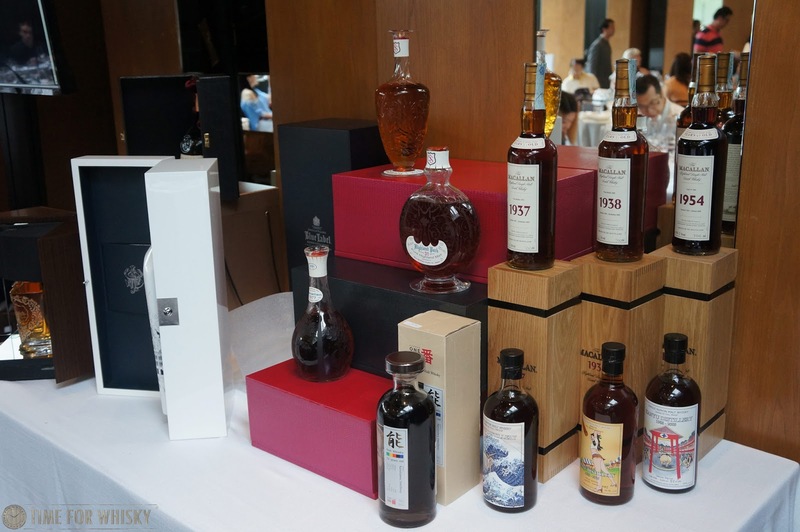 Dragon 8 are firmly establishing themselves in the Hong Kong whisky auction market as the auction house to watch in our opinion, for both the variety and rarity of lots they present, and entertaining way in which they do so. We can't wait to see what future auctions bring. 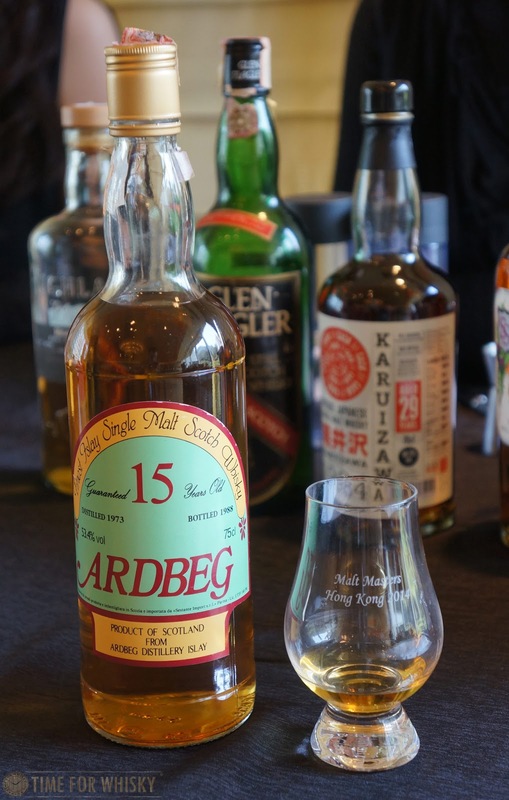 Helping me tick off #99 on the list, "A Scotch bottled in the 80s", is this stunning independently bottled Ardbeg, distilled in 1973, and bottled 15 years later (at a cask-strength 53.4%) by Sestante. 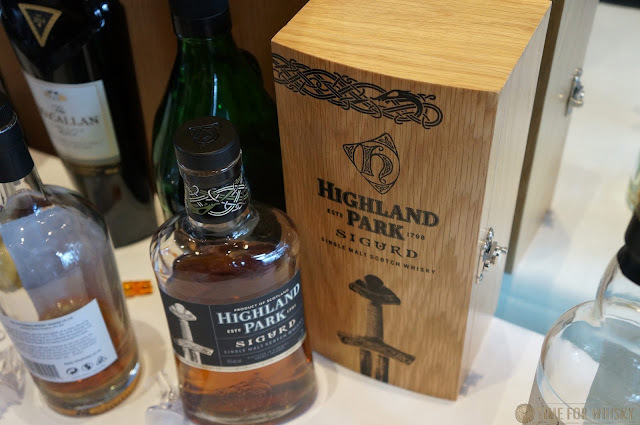 "Big deal", you might think - "an Indie Ardbeg from a Bourbon cask with a boring label..."
Ahh...but you see, this is no ordinary Indie. Whiskies from the Italian independent bottler Sestante are legendary, and even more so since they stopped releasing whiskies in the 1990s. 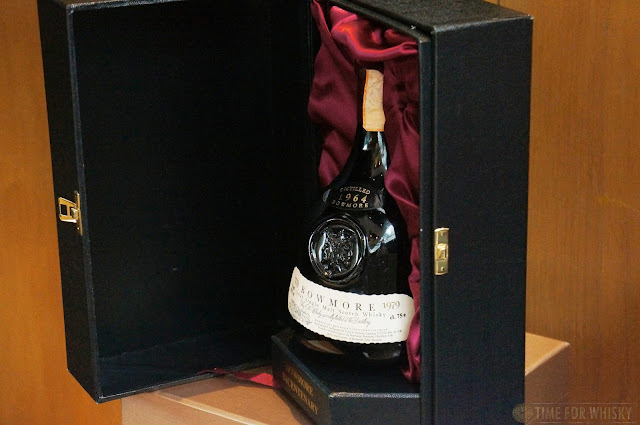 This cask-strength bottling in particular seems to have caught the eye of whisky lovers over the years, as can be evidenced by its price tag whenever it does pop up (it was £995 on Master of Malt, when it was available, still sells for £1,500 at TWE, and in March Platinum Wines in Hong Kong were selling 3 bottles at $13,000HKD each). 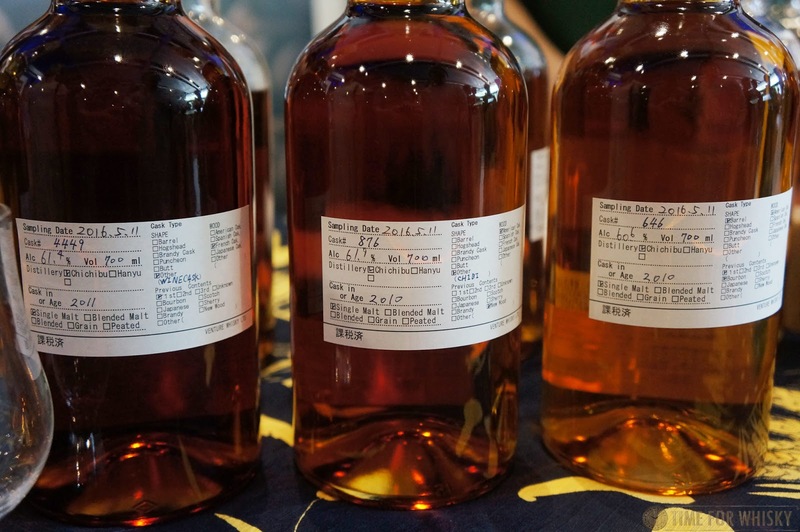 That's more than Sestante's 21yo Ardbeg from 1974, on the rare occasion it pops up for sale. Palate: There's peat, but it's subtle. It's more about the fruitiness (still tropical - peaches, nectarines, and the pineapple and rockmelon from the nose), but drizzled with honey and a light dusting of icing sugar. It's sweet, but not cloying in any way. 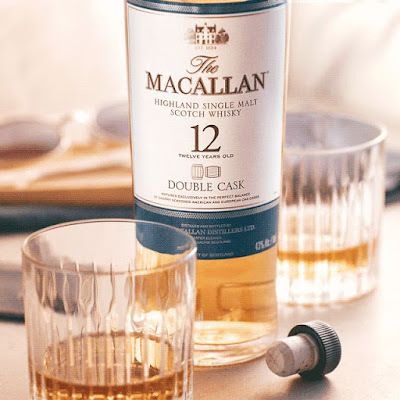 In its relatively short 15 years, this whisky has taken on some incredible characteristics from its (no doubt) bourbon cask maturation, and presented them all in perfect harmony. Stunning. Finish: Medium to long. BBQ pork with grilled pineapple on top. Brilliant. 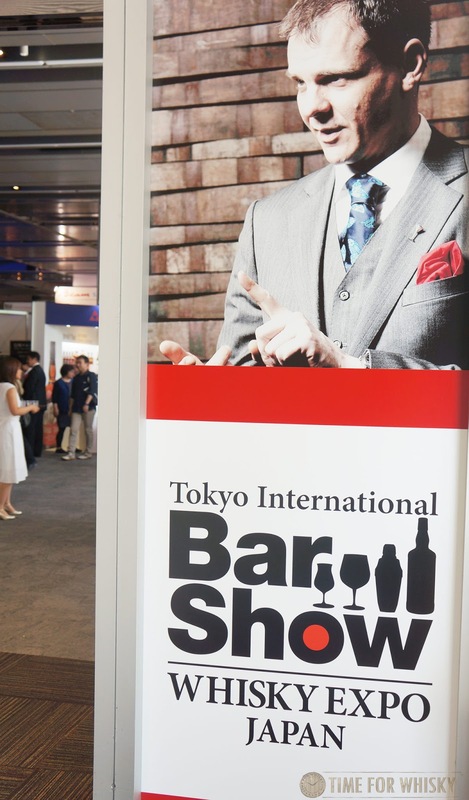 Call me a creature of habit, but a few weeks ago I did exactly the same thing I did last year, and flew to Tokyo for 36 hours to attend the 2016 Tokyo International Bar Show + Whisky Expo - aka "TIBS". The whisky culture in Japan is just incredible. Not just Japanese whisky either - Japan's love of all whisky, especially Scotch and American, is endless. 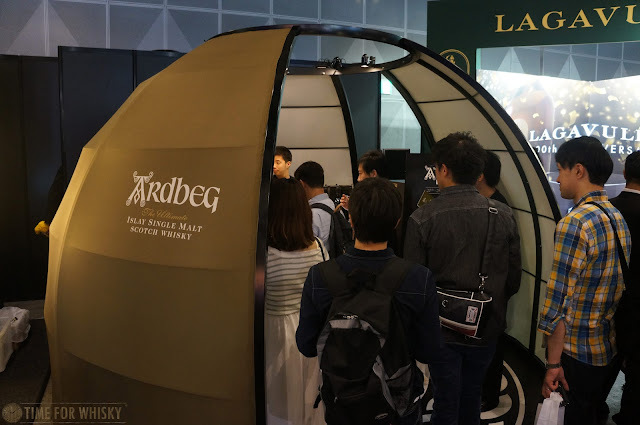 It shows in their expos (like TIBS and Whisky Live / Modern Malt Market, which we also attended last year), it shows in the special Scotch releases that no other market receives, it shows in their absolutely incredible whisky bar scene, and it shows in their own local whiskies too. 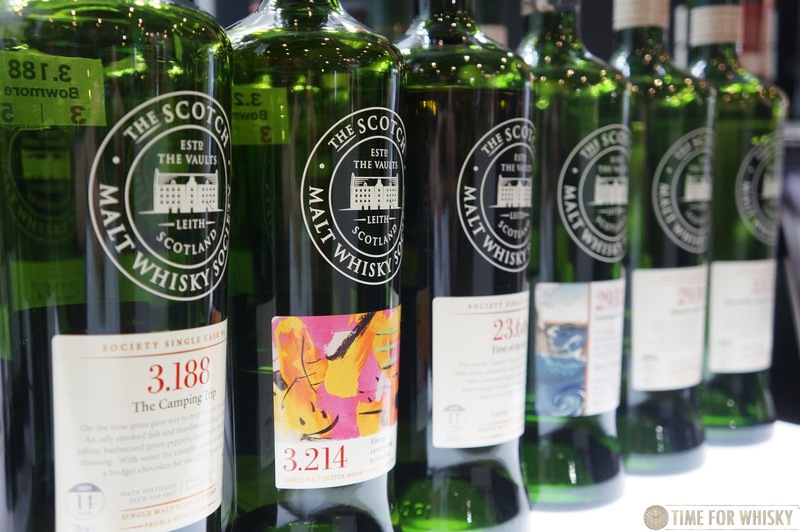 The annual bottlings released at the show are always high quality, well-priced, varied and fun to bring home. 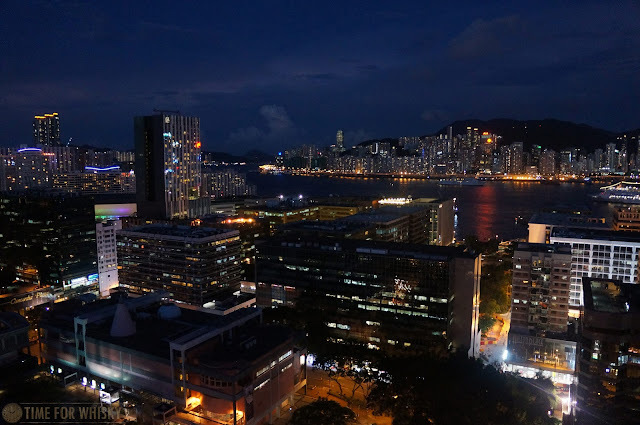 It helps too that Cathay have flights from Hong Kong that drop you into Tokyo at 6am on Saturday, allowing you to leave 6pm Sunday, all without taking a day off work. From there it was a short hop over to the always-popular Venture Whisky (aka Ichiro's Malt / Chichibu) stand. Unfortunately the annual Chichibu bottling (a 5 year old single cask ex-American Oak) wasn't available for tasting on the stand, but the core lineup bottles, along with a number of cask samples, were. French Oak ex-Wine Cask (1st fill), distilled in 2011 and bottled at 61.4% ABV. My favourite, with a deliciously earthy, tannic (but not bitter) palate and a lovely nose of berries. Virgin American Oak "Chibidaru" (literally "small") quarter cask, distilled in 2010 and bottled at 61.9% ABV. 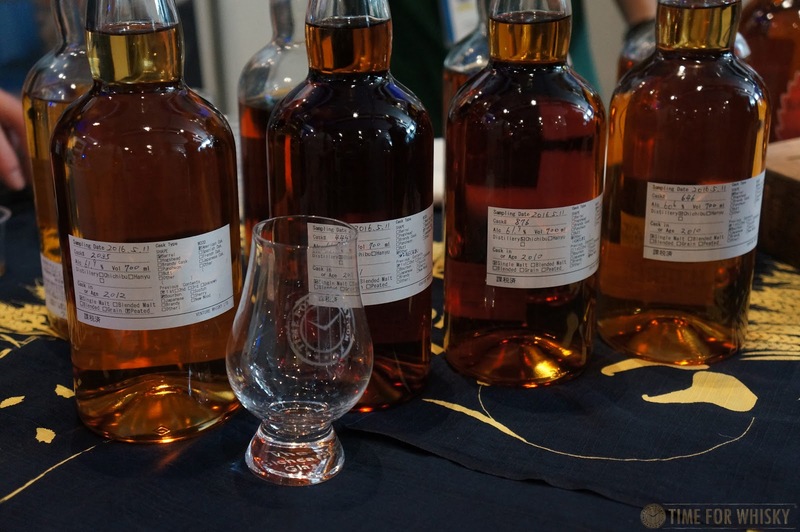 All were fantastic, and showed incredible variety considering the new make in 3 of them was identical, and they'd only had between 3 and 6 years' maturation. A true testament to Akuto-san's skill. 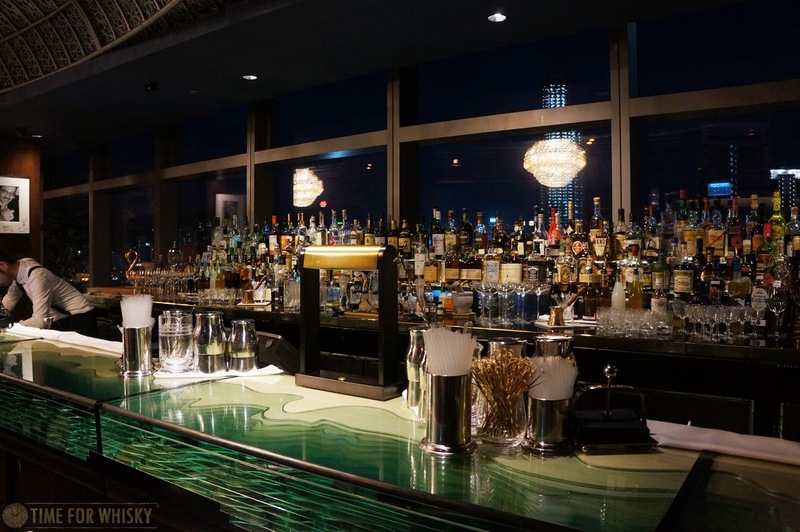 With Ardbeg Day / Night just around the corner, Ardbeg were offering attendees cocktails, drams of the core lineup, and the chance to win tickets to the Tokyo event. 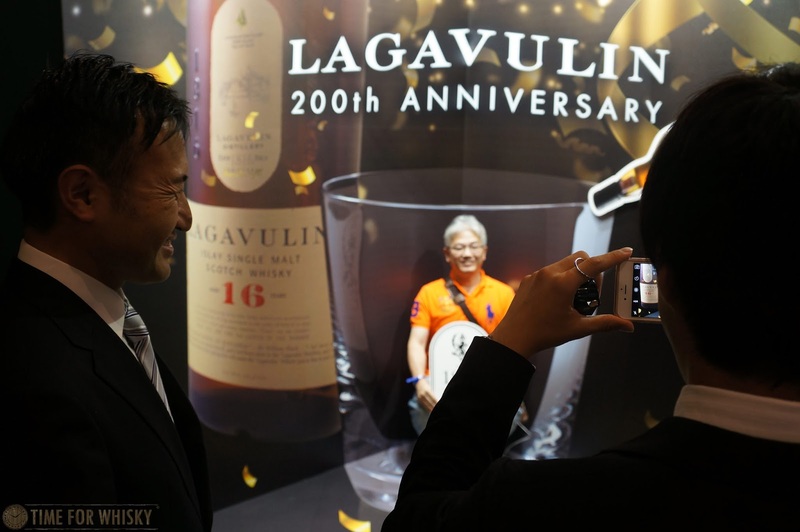 Moving next door and keeping with the Islay theme, it was onto Lagavulin, who were showcasing the new 200th Anniversary 8 year old, available once visitors "Liked" the Lagavulin Facebook page. Having tried it a few weeks earlier, I didn't partake (though it is a good dram - notes up shortly). 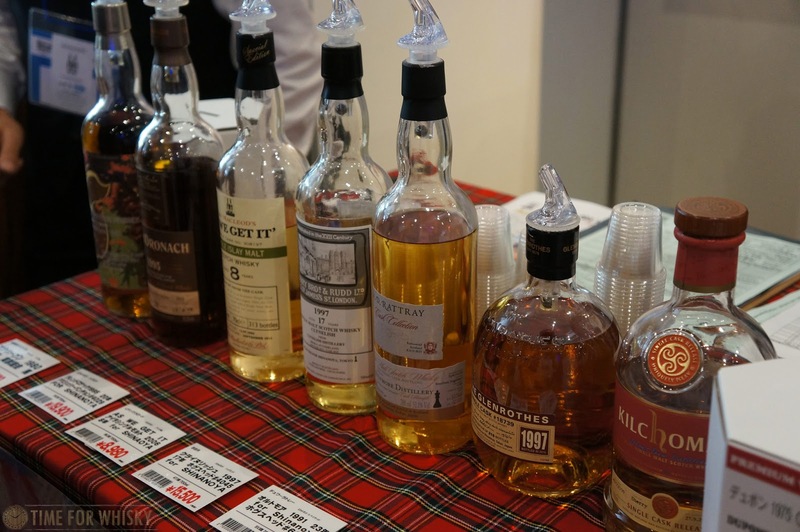 A few short steps away was the Scotch Malt Whisky Society stand, which had an impressive selection of over 20 bottles. 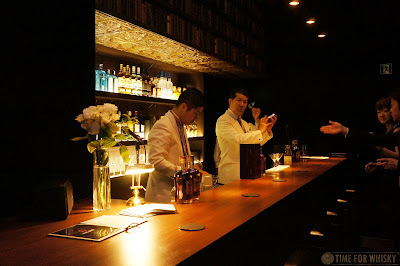 While all required at least a few tokens (sold at ¥1000 for a book of 5, and required to sample the rarer whiskies on offer), the prices were very reasonable and they were offering generous member discounts. 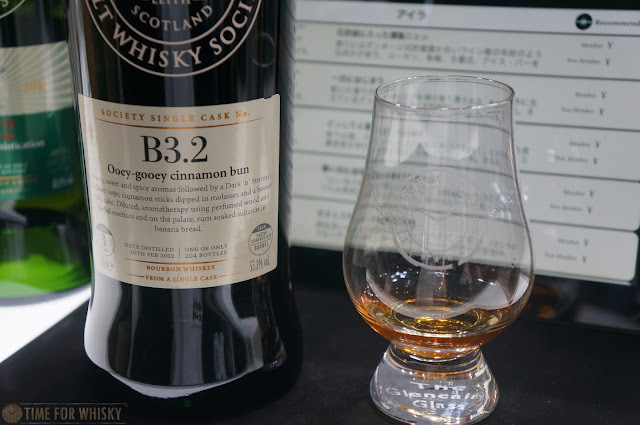 I took the opportunity to try a young Rocktown Bourbon (B3.2 "Ooey-gooey Cinnamon Bun") which friends back in Australia had raved about - and with good cause. It was a brilliant dram, very reminiscent of a big fruity jam donut. Delicious. 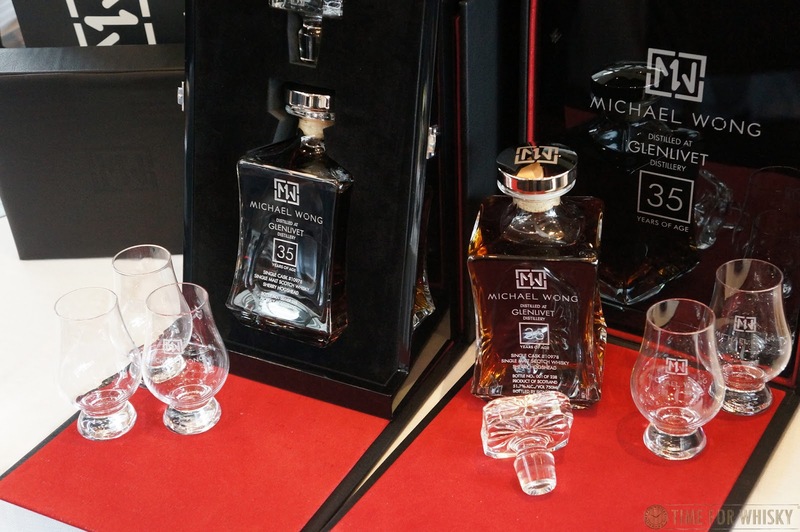 As you can probably tell from the photos above and below, I brought my own Glencairn glass to Tokyo. Extreme? 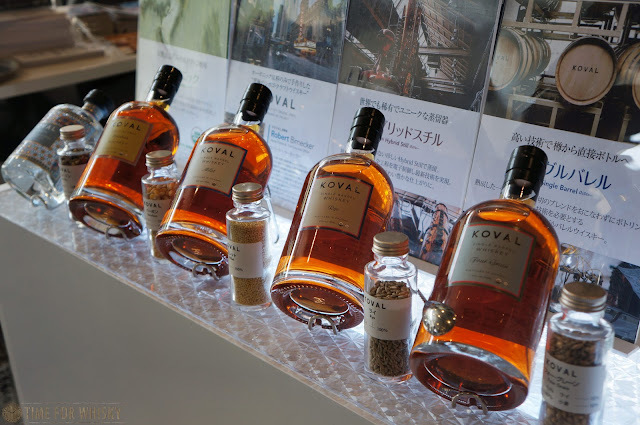 Perhaps, but Japanese whisky shows tend to be notorious for not offering proper glassware, as was the case again this year with most drams being poured into tiny little ~30mL plastic cups. 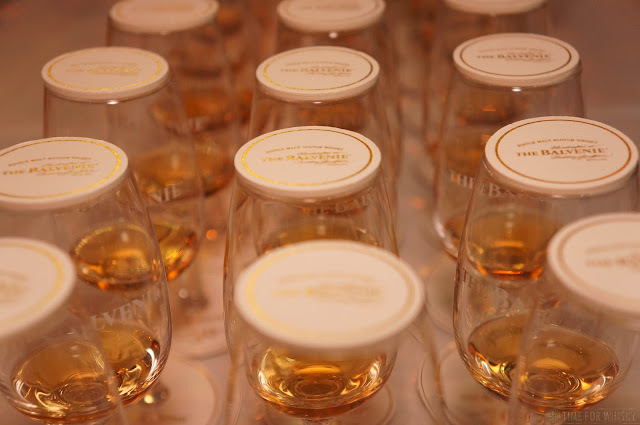 I get the hassle involved with having to provide thousands of glasses (and either collect them at the end, or build them into the price of the ticket), but small plastic cups are not really conducive to properly tasting / assessing quality whisky. 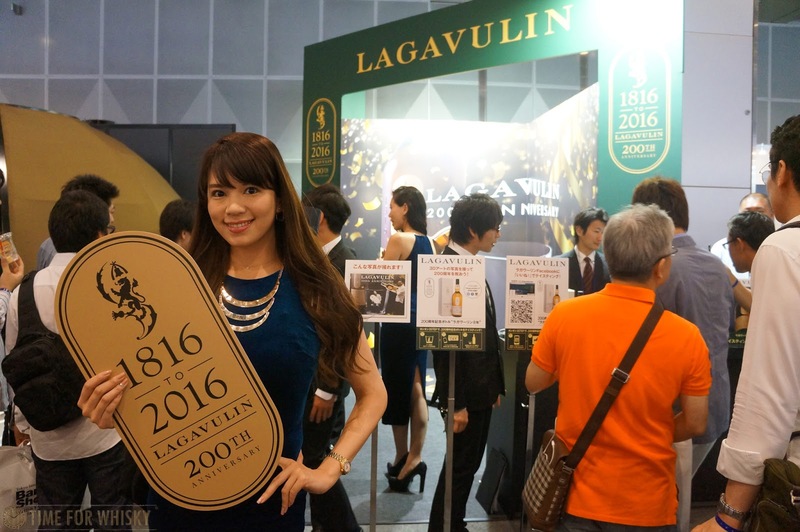 It's literally my only complaint about the otherwise brilliant Japanese whisky expo scene, and it's a minor one. 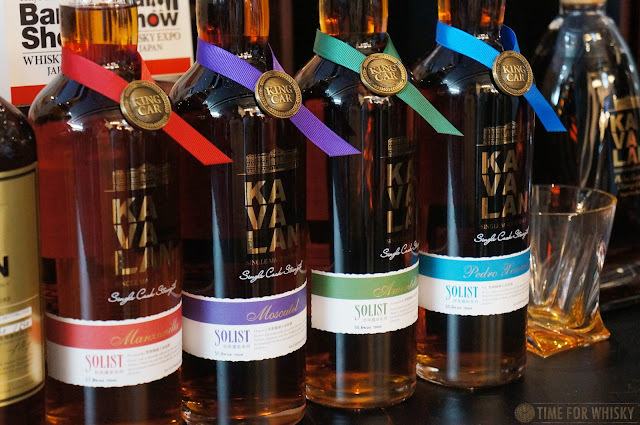 Kavalan had a large range on offer, but the prices to taste most of them were (in my opinion) unreasonable, especially for the recent award-winning Amontillado cask, which ran about $25AUD / $145HKD for a small taste. 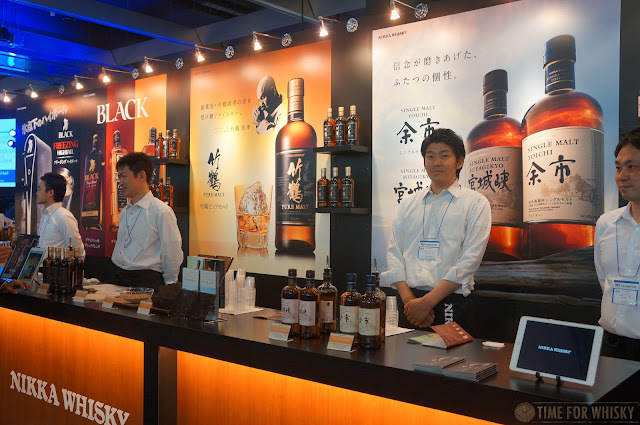 As the giants of the Japanese whisky industry, Nikka and Suntory had large stands, but (understandably) with no standout products, and only the basic NAS single malts on offer. 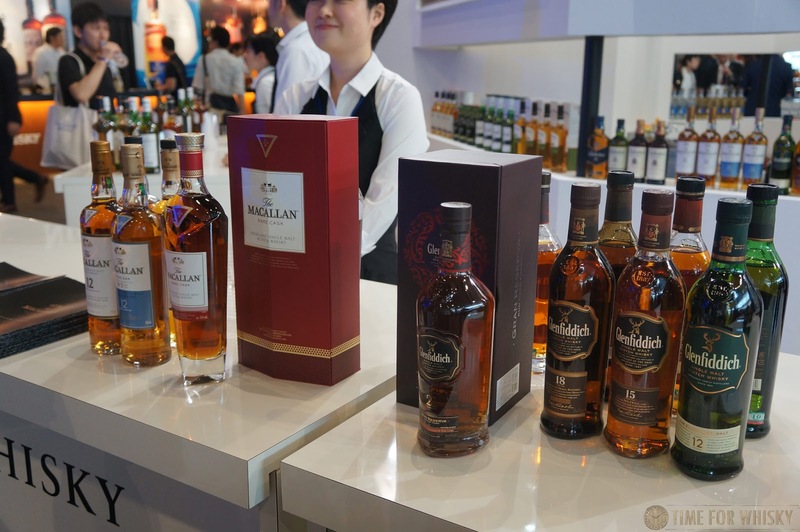 As distributors of Edrington and William Grant & Sons products in Japan, Suntory were also offering pours of The Macallan and Glenfiddich, including Macallan Rare Cask and Glenfiddich 21. 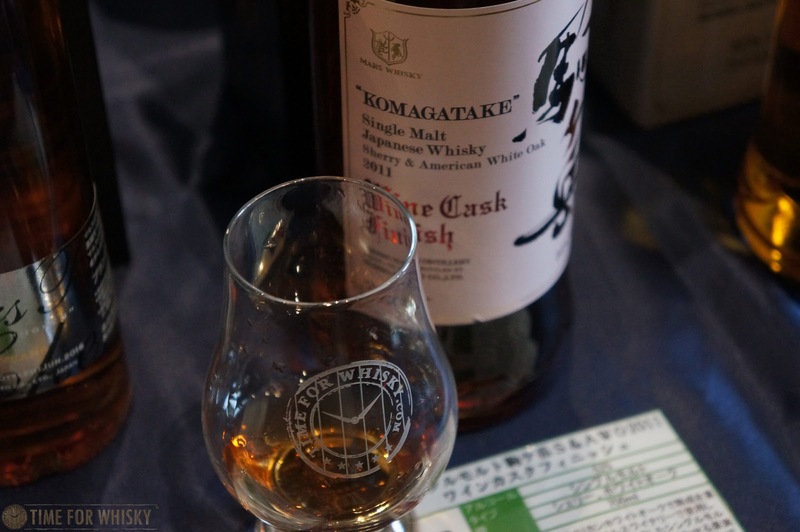 Mars were offering their "Wine Cask Finish" Komagatake (which, like the aforementioned Chichibu, balanced the deep berry notes without being overly tannic or bitter), although on later reflection I realised we'd never heard of this particular release, as it's neither the blended "Wine Cask Finish" that was released in 2014, nor the 10yo single malt "Wine Cask Finish" that was released in a short squat bottle. Google was little help, so we're still not sure exactly when this one was released! 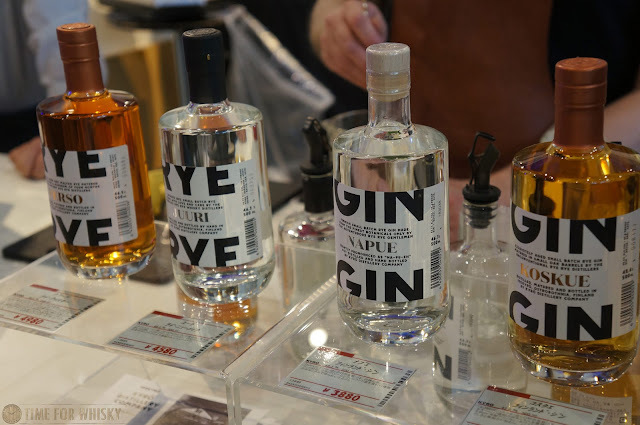 Smaller distilleries were well-represented too, including Chicago's Koval (which we first tasted back in 2014) and Finland's Kyrö Distillery Company, who were offering their gin (tasty) and rye (young but showing promise). 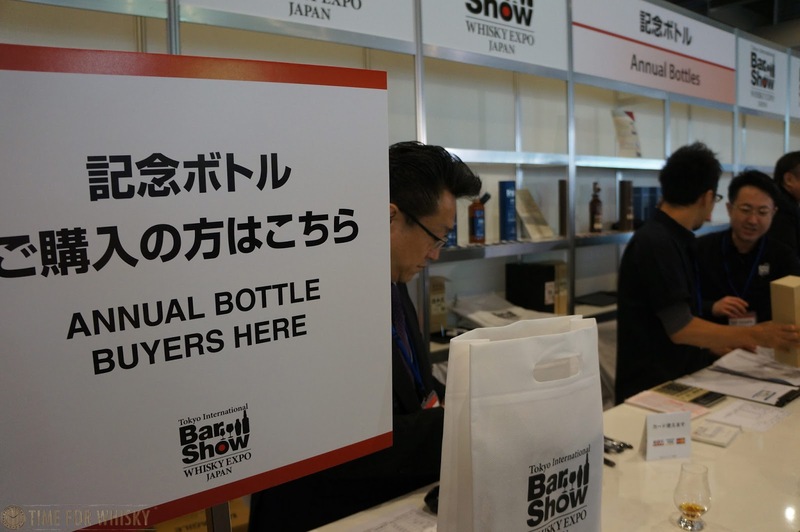 Independent bottlers were also well-represented, and continued to showcase the level of quality we've come to expect from indie bottlings made available to the Japanese market. 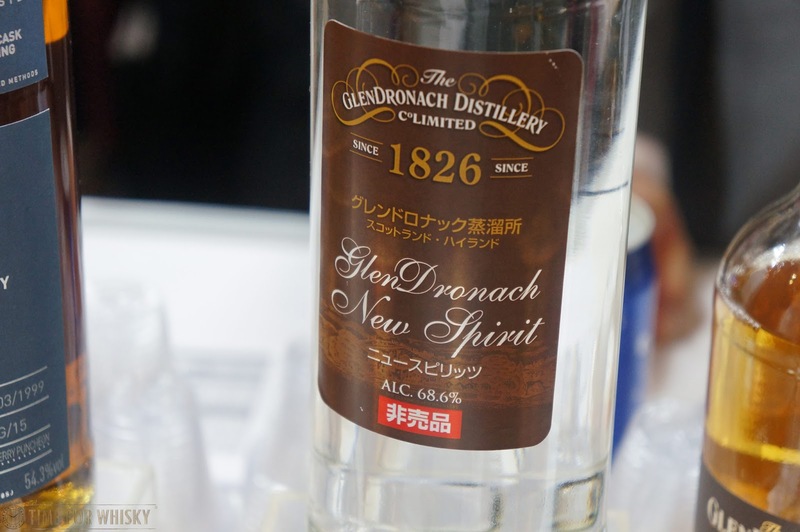 GlenDronach, BenRiach & Glenglassaugh were also well-represented, as was their recent new parent company Brown Forman. 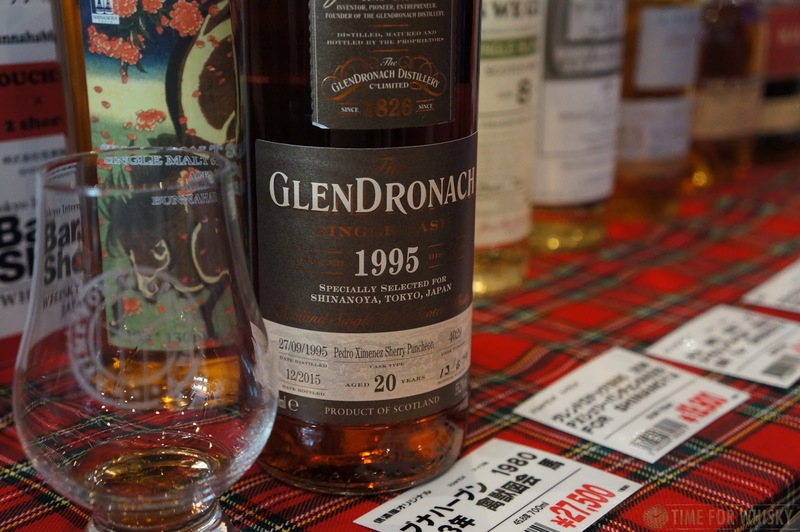 In addition to the core GlenDronach line-up, a 1995 single cask and the latest cask strength, there was also a bottle of GlenDronach new make - a rare opportunity to taste the raw product that, 18-20 years later, becomes one of my favourite sherried whiskies. With lots of oats and breakfast cereal, it was smooth, flavoursome and very drinkable. 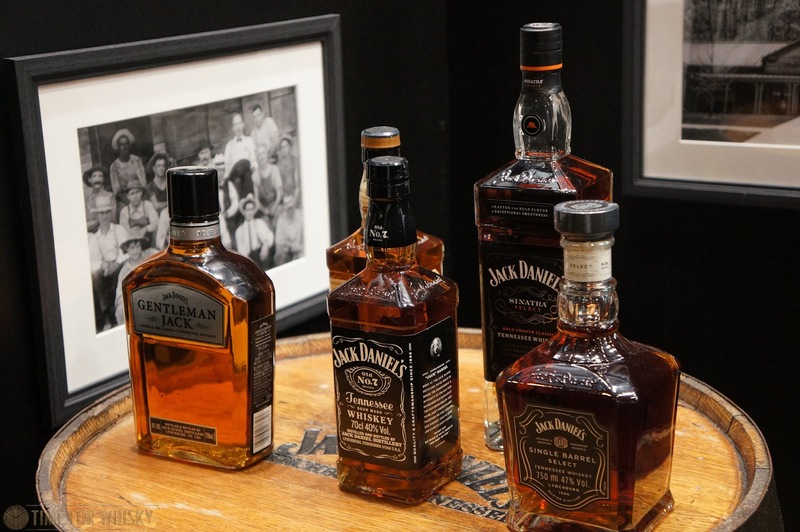 I suspect this was a recent batch of new make, and not the pre-2004 spirit from coal-fired stills. 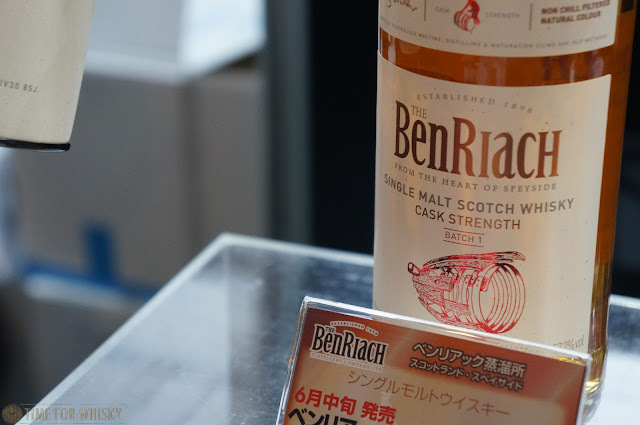 BenRiach's new Cask Strength Batch 1 was also a treat - I'd heard good things before and they were all true. Lots of tropical fruit and gummy bears for me. 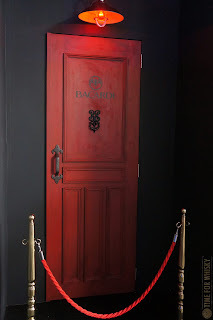 With the cocktail class over, it was back to the drams, a quick visit to Bacardi's "pop up speakeasy" (a cool idea for a 2 day bar expo, but one we're reliably informed was already done by Hendrick's several years ago), and then time to call it a day and head back to the hotel for a quick freshen up before heading off to my favourite whisky bar in Tokyo - The Mash Tun in Meguro, where I tried this ridiculous 1979 single cask ex-Mizunara Yamazaki, and a 43yo Longmorn (amongst others). 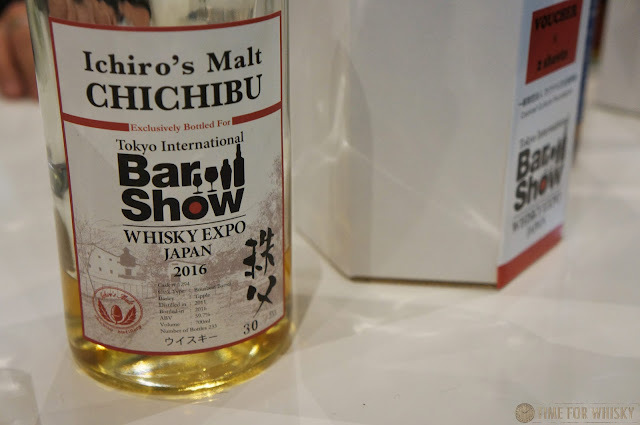 Day 2 saw me arrive early enough to lock in a bottle of the annual Chichibu, as well as a 20 year old Springbank single cask bottled just for the show. 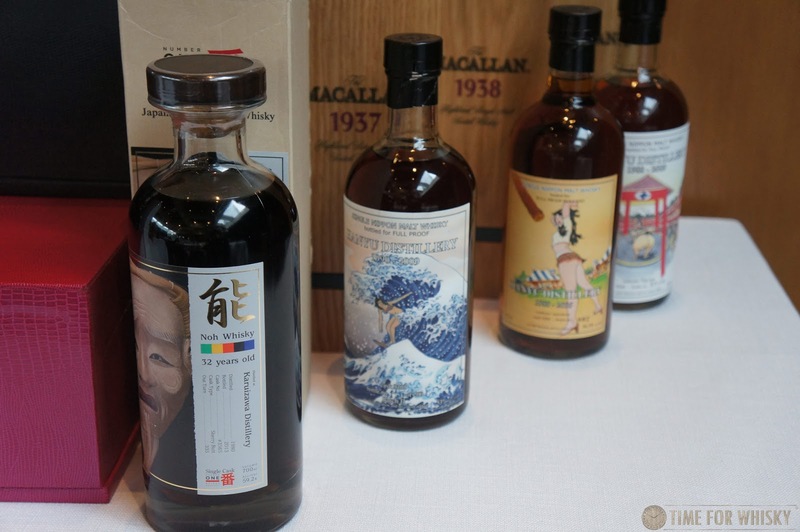 There was a ~16yo Karuizawa too, but at ¥145,000, it was a lot more than I was happy to spend (and others too it seems - as there were still some left long after many of the other bottles had sold out). Whilst not for sale, there was also a hand-filled Bowmore on tasting which was delightful, and a great way to kick start the day. 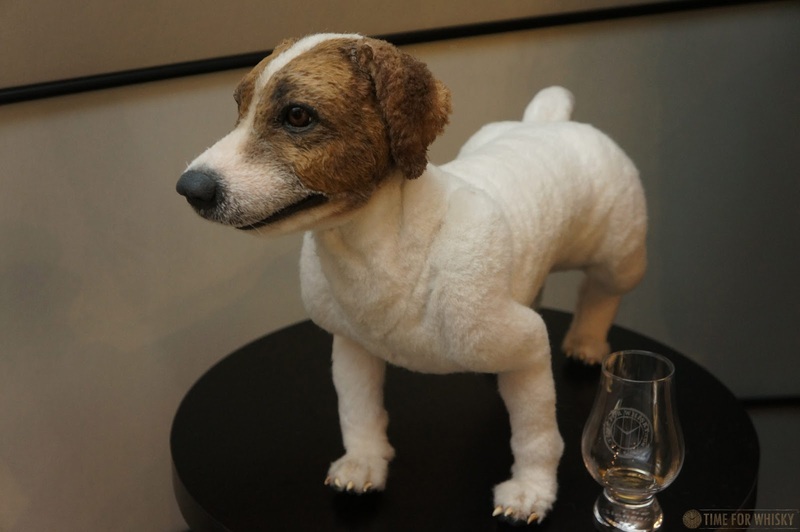 We'll have full tasting notes for Chichibu, Springbank and Bowmore up in a separate post shortly. 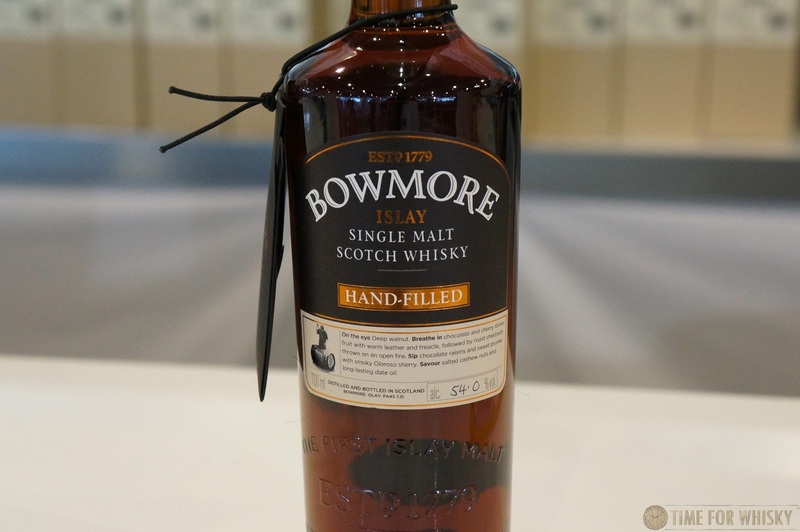 ...and it turns out I was right - it was one of my all time favourite whiskies, the 1989 Bowmore Port Cask! 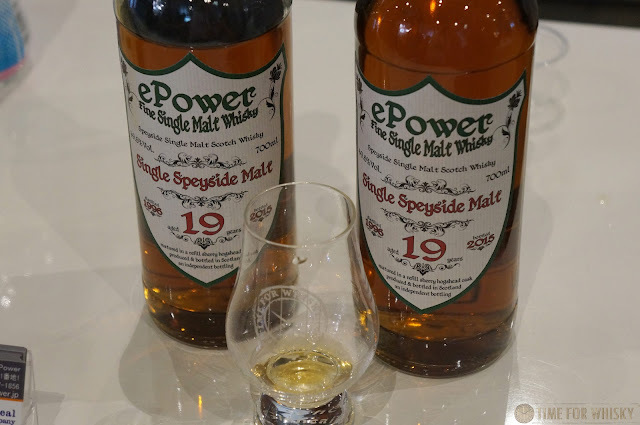 Every single time I've tried this whisky, I've absolutely loved it, and this was no exception. 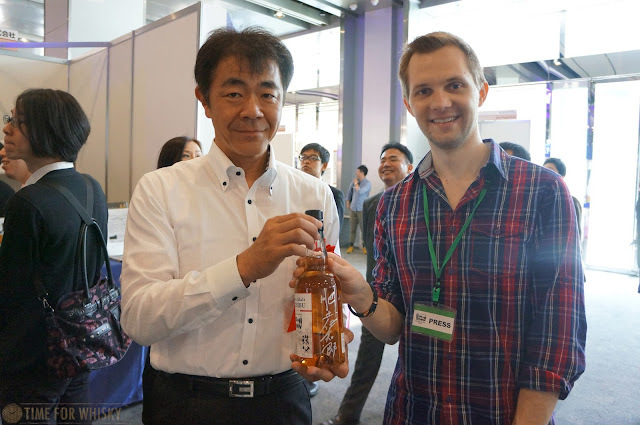 With my flight back to Hong Kong looming, there was just enough time to drop by the Chichibu / Venture Whisky stand a second time for another dram, grab an obligatory photo with Akuto-San, and then plan my exit. 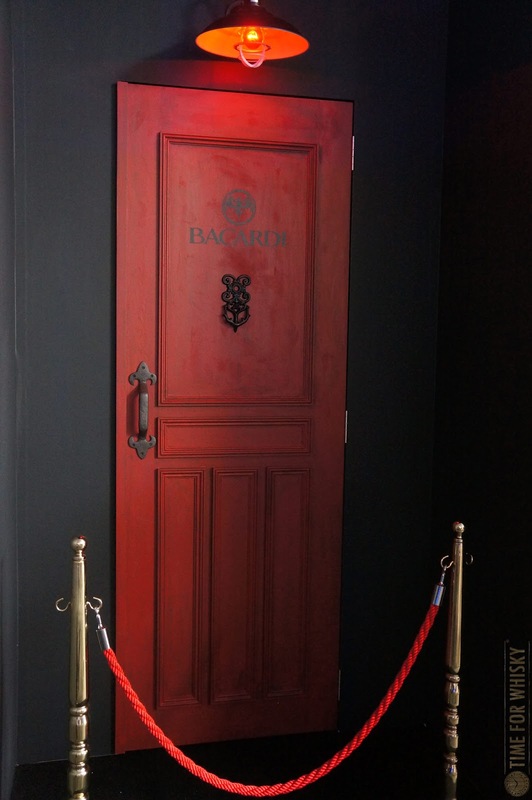 ...but not before I was convinced to make a brief stop at the Hendrick's stand for a de-constructed gin tasting. I've always said gin is the whisky drinker's white spirit, and the chance to do a tasting of all the components that make up one of my favourite gins (including a full-proof example at 70% ABV) was too good to pass up. 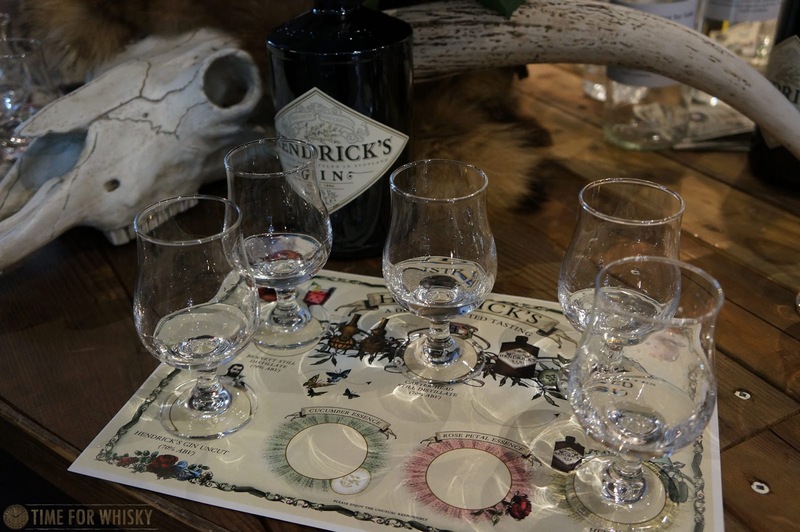 Big props to Hendrick's for using real glassware at their booth too - both for tasting and cocktails. So after nearly 36 hours on the ground in Tokyo, that was it - another Tokyo International Bar Show done and dusted. 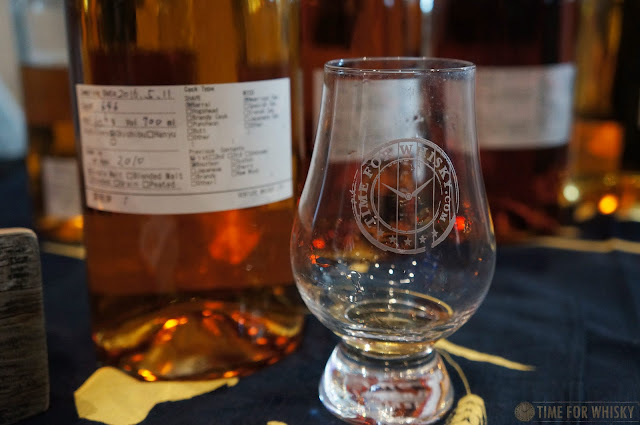 It's hard to say if there was more or less whisky present compared to 2015 (possibly a bit less), but the quality was high, the variety was great, and the people, as always, awesome. Would I recommend the show? Absolutely. 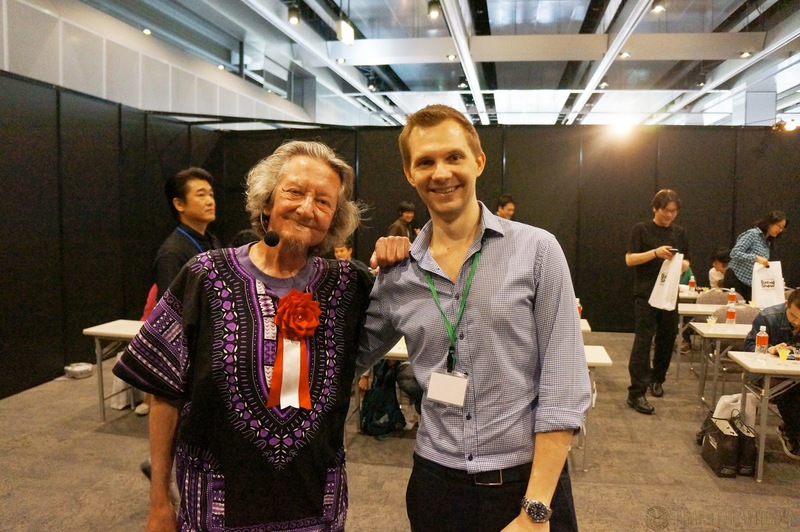 Will I return next year? Probably! Until next time Japan, Kanpai! 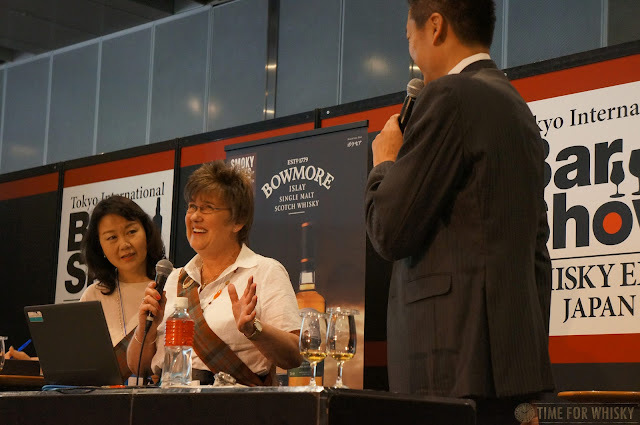 TimeforWhisky.com would again like to thank Ueno-San (of the excellent Bar High Five, which we finally visited on this trip) for the press pass and kind hospitality at the show.